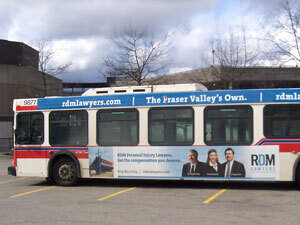 This year’s transit campaign was designed to continue increasing awareness of the RDM Lawyers brand. This was achieved by visually connecting the firm’s unique office building, located at 5 Corners in Abbotsford, British Columbia, the RDM Lawyers logo, and individual lawyers including: Frank Mullally, Shelly Avram and Doug Lester, who are all long serving members of the firm’s Personal Injury practice group. 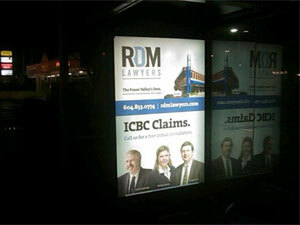 This year, in addition to continuing to run their current Family Law and new Personal Injury group bus ads, we also adapted the new personal injury ads for display in bus shelters around Abbotsford (feature above). 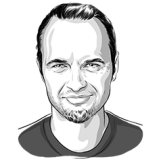 RDM Lawyer’s Personal Injury mini-site.